The beauty of social media is that it allows people to easily become part of an online community and engage no matter where they live or what time of the day or night it is at their internet connection. Capitalize on the critical mass of that audience and share your voice. Unlike printed communications, social media is free. Find out where your community is gathering and consider making that your first foray into a social media platform. How? Take a quick poll at your next Region/Section/Branch meeting or in your newsletter. 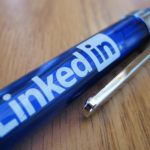 Ask people to indicate whether they participate in LinkedIn, Facebook, Twitter and/or blogs. Ask them which platform they go to first and which one they think their colleagues visit the most for professional purposes. When you find out, share your answers. Also, ask them which platforms ASCE National is engaged in (all of the above) and which one has the most activity (the ASCE LinkedIn group has more than 12,000 members and is very active). You’ll look like the social media expert with all your new knowledge! Does your Region, Section or Branch already have a social media presence? If so, tell us about it! Good points about Twitter. Part of the value of Twitter is how we can use it to connect with people across the country (or even world) with similar professional interests. With social media, part of the key to success is being entertaining, informative and educational, and each person has to decide for himself or herself what’s appropriate, since those who tend to make more provocative statements tend to get more followers in Twitter.